Browse our range of recommended phones, headsets and apps. Selected, tested and used by our team. © 2019 Voice Simplified®. All rights reserved. Our most powerful High-End IP Phone, designed for the high-call volume user who requires a suite of call control and efficiency focused features. Bring heavy communications under control by utilizing the GXP2170's high-line access, BLF/speed-dial support and other control focused features. The GXP2160 provides an efficiency-focused endpoint with its vibrant display and intuitive BLF and speed-dial keys. Focus on handling more calls and reaching more customers by utilizing its 6 lines, 4.3" LCD screen and built-on physical 24 BLF/speed-dial keys. Easily monitor presence and status of other extensions to quickly transfer calls to the right destination. Equipped with dual Gigabit, PoE network ports, Bluetooth support, and a host of other features the GXP2160 brings call control to a new level. As all Grandstream IP phones do, the GXP2160 features state-of-the-art security encryption technology (SRTP and TLS). The GXP2160 supports a variety of automated provisioning options, including zero-configuration with Grandstream's UCM series IP PBXs, encrypted XML files and TR-069, to make mass deployment extremely easy. The customizable GXP2140 brings a rich and vibrant display, and call control to the medium to high-volume call user. This device provides the perfect balance for the call-intensive user's desktop, with its 4 lines, 5 programmable soft keys and feature-loaded call controls. Its 4.3" color LCD display creates a high-quality user experience, and its dual Gigabit PoE ports, HD audio, and integrated Bluetooth makes the GXP2140 highly versatile as well. As all Grandstream IP phones do, the GXP2140 features state-of-the-art security encryption technology (SRTP and TLS). The GXP2140 supports a variety of automated provisioning options, including zero-configuration with Grandstream's UCM series IP PBXs, encrypted XML files and TR-069, to make mass deployment extremely easy. Utilize mobility and call efficiency to increase the productivity throughout any communications network. The DP720 mobile DECT handset is the perfect solution for any business, warehouse, retail store or residential environment. It is supported by Grandstream's DP750 DECT VoIP base station. The DP720 allows the user to unbind themselves from their desk and move freely and efficiently throughout the work environment. When paired with Grandstream's DP750, the DP720 offers a mobilized VoIP solution for any business or residential user. This mobile DECT handset is the ideal choice for users who are looking to be mobile and have access to essential call control features. Up to 5 DP720 handsets can pair with a single DP750 DECT base station, and each support up to 10 SIP accounts, full HD audio, a 3.5mm headset jack, multi-language support, a speakerphone and more. Deploy an immersive DECT environment that allows users to communicate free from their desktop using Grandstream's DP720 DECT handsets. The DP750 pairs with up to 5 DP720s to create a powerful and mobile network solution. The DP750 creates an immersive DECT network to enable mobile and efficient movement in your organization. A powerful mobile solution, user flexibility is achieved when pairing with up to 5 of Grandstream's DP720 DECT handsets. The DP750 supports a range of up to 300 meters outdoors and 50 meters indoors, and delivers up to 10 SIP accounts and 5 concurrent calls while also offering essential call control features and functionalities, such as 3-way conferencing, call forward and call transfer. A seamless, unified interaction between DP720s can be achieved through the DP750, by giving all DP720s a shared SIP account from the DP750. The DP750 supports a variety of auto-provisioning methods and TLS/SRTP/HTTPS encryption security. Wherever work takes you, the Plantronics Voyager 8200 UC Bluetooth headset is ready to block background noise so you can concentrate on your work, your call or your playlist. Its contemporary, boomless design delivers comfort and style, while dual-paired microphones deliver Plantronics' signature audio quality and clarity. Switch seamlessly from phone to laptop. By staying connected to two devices at once, you'll never miss a call. And with two levels of active noise cancelling, 24 hours of listen-time and hi-fi stereo sound, Voyager 8200 UC helps you focus on the moment and leave distractions behind. Offering seamless connectivity to your PC or smartphone and integration with leading UC applications, the Voyager Focus UC is ready to work how you do. With up to 30 metres of wireless range, enjoy mobility while calls and music stay crystal clear, whether you're at your desk, in the conference room or in the kitchen. Enjoy freedom with no loss of fidelity. Always be connected, everywhere you take your work. The Voyager 5200 UC Bluetooth headset offers our most advanced, adaptive noise cancelling with WindSmart technology to reduce disruptive noise. It�s ready to work everywhere, just like you. Not in the office? Not a problem. Four adaptive microphones and WindSmart� technology work together to eliminate disruptive background noise, wherever you are. Your voice sounds clear and professional as you seamlessly transition between environments, inside or out. Now you can focus on what you�re saying, not where you�re saying it. Plantronics Elara 60 Series is the on-desk solution for enhanced smartphone collaboration designed for the mobile-first professional. The perfectly portable Calisto 620 wireless speakerphone was designed to simplify call management with an easy interface for answer/end, mute and volume controls for calls on your laptop or smartphone, and it comes with a Bluetooth mini USB adapter for always-ready PC connectivity. Integrated A2DP lets you listen to streaming media from your mobile device, including your favorite songs, podcasts and more. Meet with up to 250 people, even if they're not on Skype for Business. All they need is a phone or internet connection. 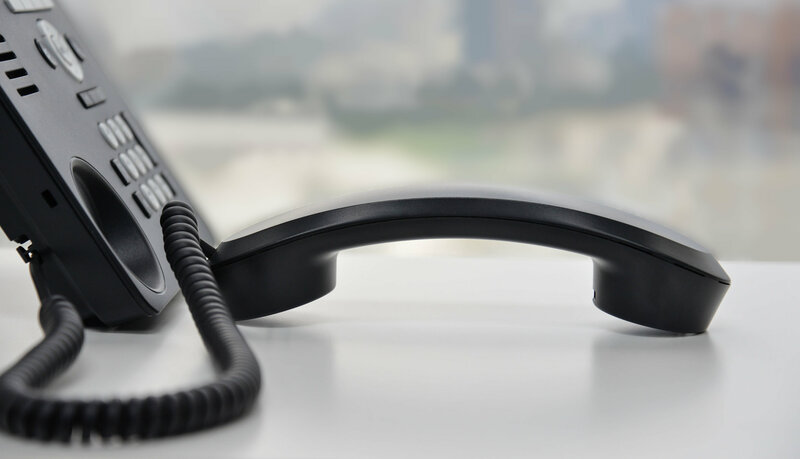 Expand your communications solution by linking your desk phone to your mobile device to keep in touch with your business and residential accounts while working remotely or traveling. Grandstream Wave is a free softphone that revolutionizes a user's workflow. It integrates with up to 6 SIP accounts and supports essential call control features such as 6-way voice conferencing, 24 virtual BLF keys, 2-way video calls, and so much more. The Grandstream Wave is also capable of integrating with your IP PBXs (such as Grandstream's UCM6200 series or UCM6510 series of IP PBX) for even more powerful network utilization. Our VoIP softphone will look everywhere for your contacts and will display them in a combined list for easy access. Outlook, windows/mac, LDAP, XMPP, XCAP, Android, iOS. You name it, we got it and we will lookup incoming calls as well so you know who calls before you answer. Zoiper runs on a multitude of different platforms. No matter if you are using macOS, Linux or Windows. iOS, Android or a browser, we've got a solution for all (and we are working hard on addition even more). Click-2-dial CRM integration, number recognition, Outlook and Thunderbird plugins. Zoiper does not rely on Java, Flash or .NET but is written in oldsk00l C/C++ and Assembly. This results in low memory and CPU usage and makes for quality audio even on older hardware. Don't like it when people eavesdrop on your conversations? Neither do we, that's why we offer free encryption for all your text, voice and video communications with TLS/SRTP and ZRTP.